For kayaking enthusiasts, finding and selecting their next destination is part of the overall excitement and adventure. If you are in search of your next kayaking site then give some thought to kayaking in La Jolla and take in all the breathtaking views and marine life this spectacular location has to offer. Exploring the beautiful coastline, the underwater park, the unique wildlife, and the spectacular Seven Caves, whether alone or with friends will definitely satisfy the adventure and thrill you are in search of and afford you memories that will remain etched in your mind for always. 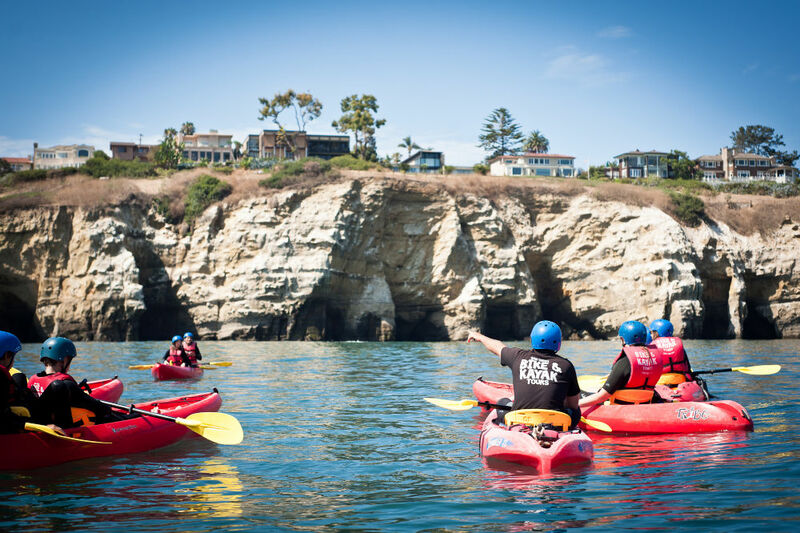 With so much to offer adventurous kayakers, is it no wonder many people find themselves selecting this ever-popular destination of La Jolla for their next kayaking excursion. Partaking in this thrilling adventure of the Seven Caves and the La Jolla Underwater Park, kayakers find themselves immersed in some of the most extraordinary scenery and marine life around, including dolphin, garibaldi, leopard sharks, and sea lions. While engaging in this unique cave tour you’ll find the utmost comfort in the tour guides that will keep you safe and direct you as you enjoy this most memorable kayaking trip. Kayaking among these magnificent sea caves is an adventure all in itself. Situated in the beautiful settings of the cliffs of Torrey Pines State Park and La Jolla, the sea caves offer much in the line of tranquility and serenity. This underwater marine preserve will afford you all the stimulating effects of an underwater paradise, and leave you only wanting for more. Indeed the swirling waters and the quiet of the sea caves will provide you with ample opportunities to enjoy your kayaking to the extreme, and allow you to carefully embark on a most impressive kayaking adventure. It doesn’t get any more thrilling and certainly not any better than combining your electrifying kayaking trip with an exciting snorkel tour to create an extraordinary experience that is never to be forgotten. This sensational Kayak and Snorkel Tour takes you on a gripping tour of the most picturesque marine life and the beautiful coastal scenery. You will find yourself cruising along the water’s surface in your kayak enjoying all the scenery around you, and then find yourself diving into the crisp blue waters to snorkel about the ocean floor and around the Seven Caves. You can also choose to swim with the Leopard Sharks as they glimmer beneath you, and give no attention to your presence. With much wildlife to enjoy as well, you will not feel short changed when you complete this spectacular tour, and you’ll surely to brag about your thrill seeking experiences with the Leopard Sharks to all your family and friends. If a little bit of romance is what you are in search of and delighting your partner with the beauty of this paradise on earth, then the Sunset Tour is an excursion you do not want to miss. 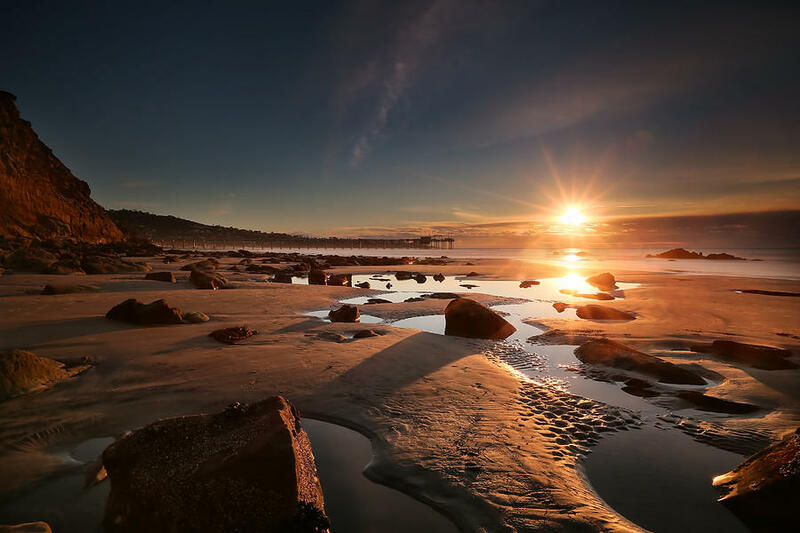 Cruising for hours along the beautiful shoreline and taking in La Jolla’s ecological reserve, you will find extreme pleasure and an overwhelming sense of peace and tranquility as you experience this one of a kind Sunset Tour. Imagine how magical it would be to be cruising along in your kayak, and come across a whale! Whale watching from the comfort of your kayak is a favored activity of many enthusiastic kayakers, and surely this renowned location allows kayakers to be witness to the over 20,000 gray whales that venture these waters from December to April, year after year. Finally, this spectacular location offers you the opportunity to combine both the excitement of the Soledad Slide Bike Tour and the Original La Jolla Kayak Tour together as one amazing adventure. You can take in all the sightseeing and all the natural beauty La Jolla offers, as you spend two hours biking the territory, and then put the finishing touches on your amazing excursion with a two-hour peaceful, inspiring kayak cruise. Truly, an adventurous kayaking excursion to La Jolla will most assuredly satisfy even the most enthusiastic kayakers. However, it is important to remember that when you combine the power and strength of the ocean with the abundant ocean rocks, travel in a kayak can present with some danger. It is imperative to wear a personal floatation device and a helmet at all times while kayaking, especially when the waters are rough and the winds are present. Kayaking is a truly pleasurable sport, and being cautious and safe as you partake will make for an overall fun-filled and memorable excursion for everyone.